I think I have Rhinitis. IT seems that I get excess mucus from everything which runs down my throat and makes me cough constantly. I am at wits end as I am having difficulty teaching when triggers come up and I cough like crazy. Please help! I tried different antihistamines, nasal sprays, neti pots, etc. What else can I do? Thanks for contacting us. 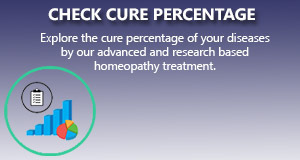 Homeopathy has a gentle cure . You can start your treatment with us. So, we suggest you to visit us and get your case history done. so that we can assist you better. You can call us at 9937412150 to know the details about the treatment. Amar Nam Satibrati Paul. Amar age-21+ . Amar khub allergy. Jokhan Hoy khub sas kosto hoy, hachi Hoy, gola theke chatir vetore Kemon akta Hoy. To ER jonnya Ami ki medicine khabo? I have allergy problem from Air Condition AC. Also problem of itching in nose. Which medicine i should use ? Please guide me .. I have been suffering from cold last several years, my problem is not frequently sneezing but I affect with dry cough and feel heaviness on nose because of this sometimes unable to take breath properly and I have to breath from mouth.Neither dry cough come out easily nor swallow in. Kindly prescribe for this problem and this problem relates to which diseases. Good information,am allergic victim thanks! I have been suffering from rhino allergy for 7 years. What is the homeopathic medicine for this disease. I am suffering from nose problem. one side(left or right ) of nose always remains blocked. sneezing is often. there is something tickling in nose. white colored water comes from the nose whole day. its worse in morning. I notice listening to music helps opening the nose. Please Help me. Thanks. Try sabadilla Q 3 drops morning and 3drops night before going to bed. Follow homeopath if rules. Do it for 7 days n report. Very good explanation about subject .helpful for patients and doctors. I believe that I am suffering from 'Allergic Rhinitis' after I'd check the symptoms through the web.. I've been suffering for many years. Kindly prescribe me the medication. Last few years I am having frequent cold and sneezing. Almost everyday after waking from bed i sneeze one after another and itching my eyes. I showed to doctor and was told of having curving of my nose bone, operation is required. I am scarry for operation. Plz tell is it curable in homeopathy?